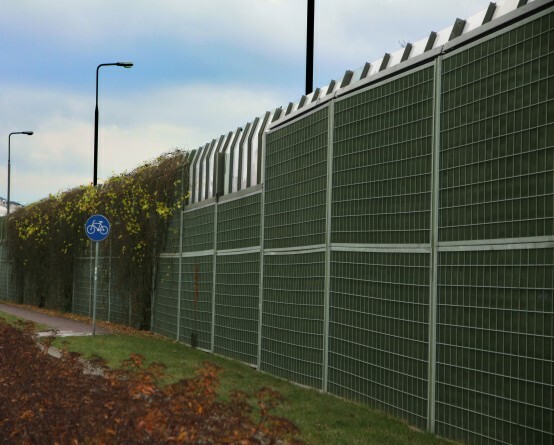 With systematically increasing road traffic, the demand for acoustic screens reducing noise increases more and more. Plastic nets are one of the components of acoustic panels. They constitute an outer layer protecting the panel against stone strikes or birds. Novmax acoustic screen nets are made of durable high density polyethylene, resistant to solar radiation. The nets have been tested for strength and resistance to UV radiation. K-10 HD acoustic screen net with square shaped mesh, made of strong (HDPE) polyethylene is a material resistant to stones and extreme temperatures (both high and low) rainfall, wind, UV radiation. The net protects internal structure of the panels, so that their parameters remain unchanged. 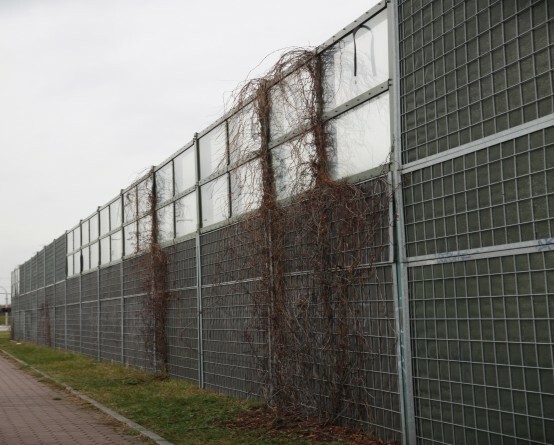 Most frequently manufactured in green color so acoustic screen net gains natural looks, blending with the environment. RT 07 HD acoustic screen net with fine, rhombus shaped mesh is made of strong HDPE polyethylene – resistant to stones and extreme temperatures ( both high and low) rainfall, wind, UV radiation.